Kota Kinabalu:”It appears that everyone from the government to the opposition are missing the point about the Royal Commission of Enquiry Report on Illegal Immigrants in Sabah, they are stumbling on top of each other to be the first to make a Police report – for what purpose?” says Zainnal Ajamain a Sabah Activist who is very active in promoting the call – to Respect the Malaysia Agreement 1963 (Hormati Perjanjian Malaysia 1963). He made this statement in a Forum “Hopes for Sabah or Cries of Sabah?” organized by DAP in a leading hotel in Kota Kinabalu last night. 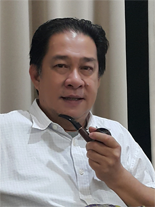 According to Zainnal the Report of the Royal Commission of Enquiry on Illegal Immigrants in Sabah or RCI Report in short should not be made the focus of their reactions – they become so emotional that all their efforts and actions are going to be wasted. How will the Police act on a report of a royal command, how the Police will investigate something which is protected by the law. “If these people care to read Act 119, Section 21 provides both the Commissioners and witnesses immunity against actions such as the Police report that they are making. The irony is that some of those that made the Police reports are our Lawmakers – yet they are ignorant of the law – this to me is very scary”. “To be honest, the Police reports that they are making are the same as they have already accepted the RCI Report and that they are making the Police reports because they are not satisfied with only some parts of the report. This is exactly the reactions that the authorities want – the focus now is on the 368 pages – no one is looking at the 5,000 pages transcripts of the proceedings and the evidences attached to it” says Zainnal. According to Zainnal what is required now is to reject the 368 pages of RCI report and insist on getting and going through the 5,000 pages Commission’s transcripts. Have the power of Enforcement, Prosecution and Arrest such as the Kementerian Dalam Negeri (KDN) which head the Polis DiRaja Malaysia (PDRM), the Immigration Department and the National Registration Department, develop strategies and seek solutions to this long standing problem. This problem occurs when even our leadership does not understand our own history. Sabah face similar situation in 1962 when the Cobbold Commission Report was shoved down our throats. Our forefathers then can be excused because many of them are blissfully ignorant, trustful with limited exposure. Today I am seeing the same traits in our more educated and better exposed leaders – What hope is there for Sabah? It is sobering to think that illegal immigrant problem is only restricted to Sabah, I believe Malaya is also currently facing the same acute problem. The incident in Cameron Highlands is just the tip of the iceberg. Sarawak is in the process of creating its own illegal immigrant problem. Therefore stop thinking that this is just a Sabah problem – this is a National problem – as such it requires a national agenda and a national will to resolve it, Sabah could have become the subject matter expert – IF only Tan Sri Pairin stop thinking as the President of PBS and start thinking as the Deputy Chief Minister of Sabah.